Ollie Phillips, former captain of the England Rugby 7’s team, lives an extraordinary life. 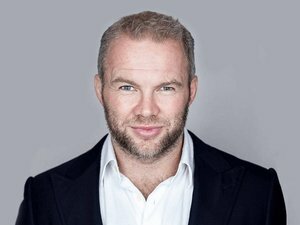 Following an illustrious career in professional rugby, he is now a highly successful business man in one of the world’s largest professional service networks, PWC. A Guinness World Record Holder, motivational speaker and expedition leader to name a few, he is proof that anything is possible. Aside from his adventuring success, Ollie's entrepreneurial spirit has catapulted him into the role of 'Head of Innovation' at Price waterhouse Coopers, PwC. Ollie uses his skills in management and applied his 'on the pitch' tactics to his corporate role to achieve success and help clients take a fresh approach to any challenges they face. Ollie is a dedicated ambassador for the Alzheimer's Society as well as the rugby charity, Wooden Spoon and a strong supporter of Cancer Research UK.